Published on June 17, 2011 June 16, 2011 by cara.b.b. i love summer for many reasons, but one is the bounty of berries. i love them all, and every time i visit the market, i feel the need to buy more, whether we really need them or not. this light dessert is such a treat, and it’s easy on the waistline too. hey, it’s swimsuit season! i like to save more indulgent desserts for winter, when i’m covered up in many many layers. 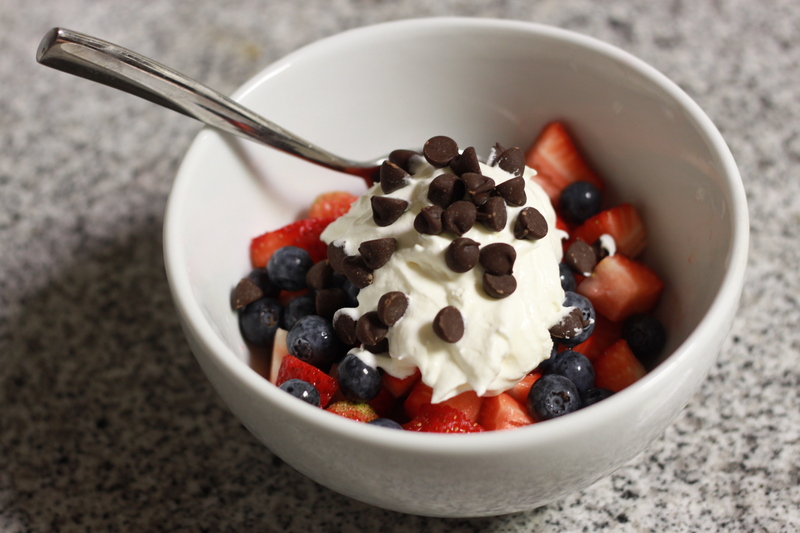 the ingredients are simple – strawberries, blueberries, cool whip (i use fat free), and chocolate chips. and there’s no recipe – just as much of everything as you want. a great ending to a warm summer night.